The Food Bank of Central and Northeast Missouri takes a mobile pantry to communities in need each week. Hunger affects about 900,000 people in Missouri, according to Feeding America. And it can be found in rural areas or in urban areas, and even on college campuses, throughout the state. 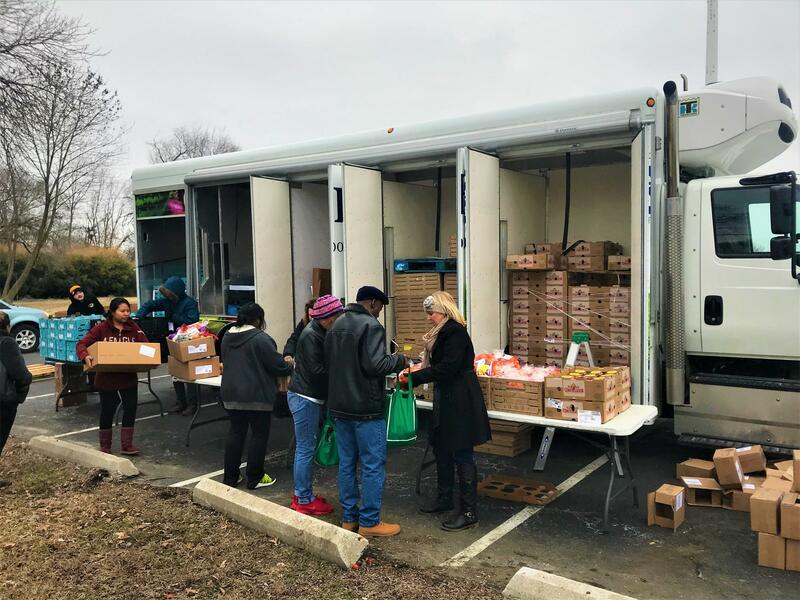 Though some organizations and food banks, like the Food Bank of Central and Northeast Missouri, are using creative ways to combat the issue of food insecurity, researchers are still trying to find a way to reduce hunger. On this episode of Intersection, we talk about what it means to be food insecure, how where you live can affect it and the stigmas that come with hunger. We'll speak with Bill McKelvey from the Interdisciplinary Center for Food Security about what makes a person or place food insecure, what trends Missouri has seen and what can be done to help those numbers go down. We'll take a journey to the Food Bank of Central and Northeast Missouri's mobile pantry in Columbia where Eric Maly, the program director of the food bank, explains how these services do more than just give food to those in need. Lastly, we'll hear from Melanie Hickcox and Monica Palmer who both word at Feeding Missouri, a coalition of Missouri food banks. In an excerpt from KBIA's Missouri Health Talks series, Palmer and Hickcox discuss the stereotypes and stigmas surrounding food insecurity. The Food Bank of Central and Northeast Missouri's mobile pantry in Columbia offers a wide variety of foods available to anyone in need.